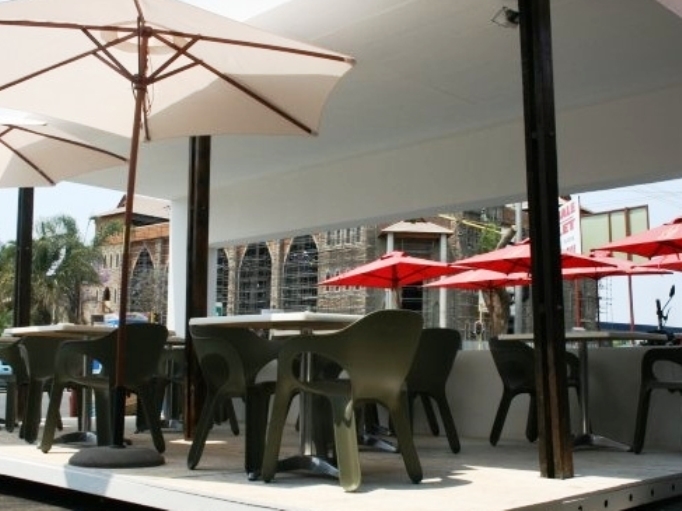 Light lunches in a designer setting is what you can expect from +27 Cafe. The menu consists mainly of croissants with a variety of gourmet fillings. Try the Gorgonzola and pear combination or the healthy and tasty chicken, sun-dried tomatoes and olive croissant. Mini 'burgers' are also available. The restaurant is not licensed but delectable smoothies, coffees and cappucinos can be enjoyed. +27 Cafe is open from Monday to Friday from 7 am until 6 pm and on Saturdays from 8 am until 2 pm.